Black Stars: African American Women Scientists and Inventors | #WHM18 #WomensHistoryMonth #WomenInSTEM « Adafruit Industries – Makers, hackers, artists, designers and engineers! 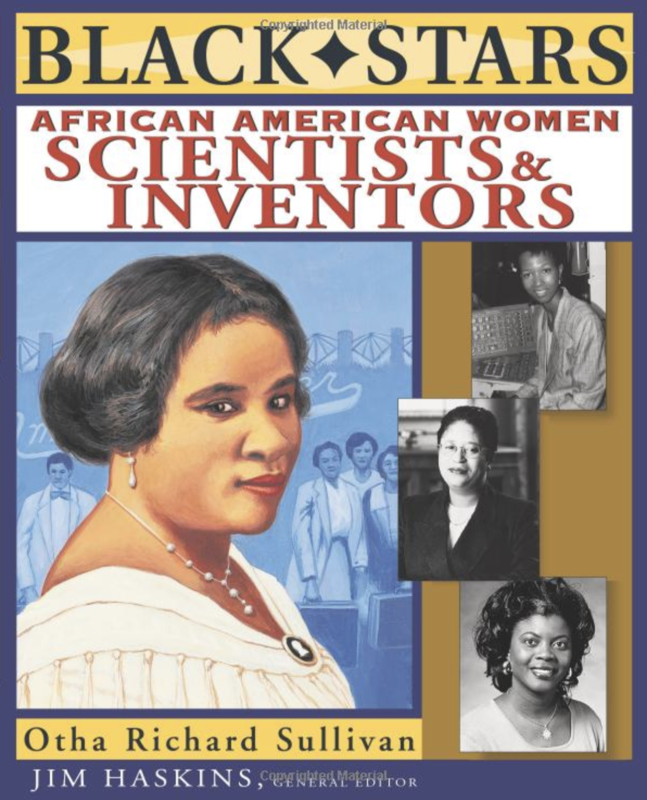 This companion to Sullivan’s African American Inventors (Wiley, 1998) profiles 26 women, beginning with Ellen F. Eglin, who was born in 1849 and invented a clothes-wringer, and concluding with Chavonda J. Jacobs Young, who was born in 1967 and has been a research scientist and professor. There is some crossover between the two titles. The introduction discusses the lack of information on the contributions of African-American women and the historical reasons for it. Each brief biography describes the subject’s background and achievements, and, in some cases, the obstacles that she had to overcome. Coverage ranges from well-known individuals, such as Madame C. J. Walker, to the lesser known, such as Miriam E. Benjamin, who patented a gong-and-signal chair that was used in the U.S. House of Representatives. When available, black-and-white pictures have been included, as well as photographs and or drawings of certain inventions. This much-needed book is a fine supplement to units on inventors and inventions, and would be useful in multicultural studies.